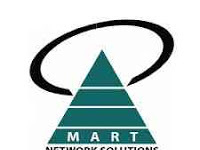 Mart Networks Tanzania Limited is seeking a candidate as an Enterprise Account Executive who will be solely responsible for establishing Sophos presence and driving sales in the designated geography with a focus on Government & Enterprise Accounts. He/She will be expected to penetrate prospect target accounts for new business as well as establish and work with partners in the territory. Responsible for New Business Development via prospecting, qualifying, selling and closing Software/ hardware solutions / services and products. Create and Manage Channel Partner network for products under the Distribution Product Portfolio together with the Country Manager. Responsible for Monthly, Quarterly & Annual Revenue Targets. Manage client relationship through all phases of the sales cycle. Provide a consultative solutions sales process to prospects. Develop and maintain prospect and customer list based on strategic marketing data and other sources for sales leads. Plan & Strategize marketing activities with the Marketing and Channel teams for the channel. Responsible for co-ordination with the HO for all technical, commercial, administrative and legal assistance. 7 + years Solution Selling experience in the computer networking & security space. Outstanding Presentation, Written and Verbal Communication Skills. Strong technical knowledge with a broad range of security and networking technologies. Must have both the sales skills and technical knowledge to make presentations and lead customer discussions to advance the sales process. Ability to develop relationships and work extensively at the executive level. Provide accurate forecasting to Reporting Manager regularly. Ability to self-motivate and multi-task and work independently or within a team Success Factors.